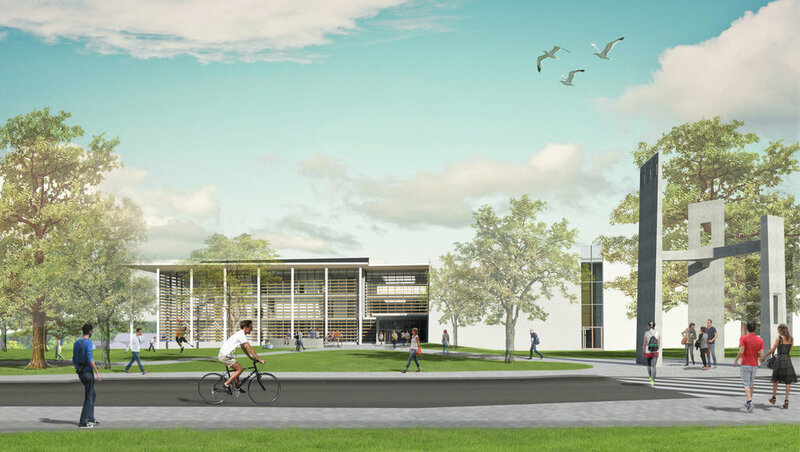 The University of Rhode Island commissioned Brewster Thornton Group Architects and Kallmann McKinnell & Wood Architects, Inc., to renovate and expand its Fine Arts Center on the main Kingston Campus. The team recommended major interventions - including installing all new HVAC systems, improving site drainage systems, replacing roof structures, encapsulating and insulating the exterior concrete skin, and relocating mechanical equipment outside of the building - in order to bring the building up to current educational and environmental standards and to ensure its continued viability as a university facility. In order to provide the best value to the client, BTGA/KMW developed a scheme that kept important pieces of the existing building while inserting a new central building section to drastically improve the Center’s functionality. 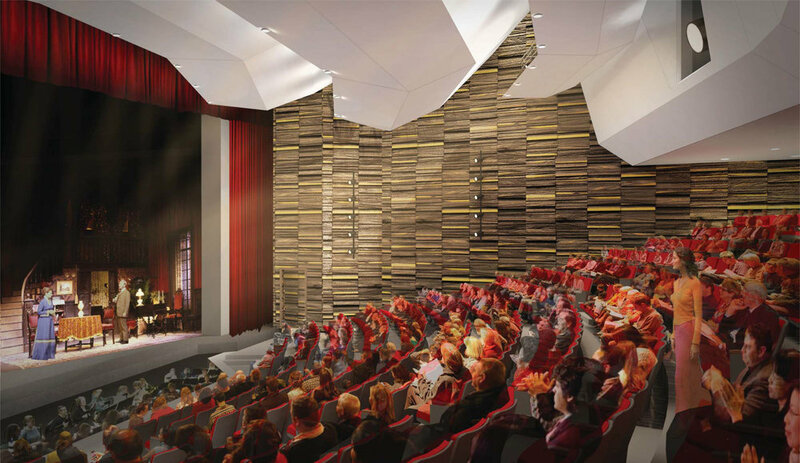 The approved concept for the Fine Arts Center combines a new three-story central bar-building extending east/west with long elevations oriented north/south with the renovation of the existing Theatre and the Music Concert and Recital Halls to remain. A combination of both the new and old building elements forms a new campus open space at the southwest corner of the site.